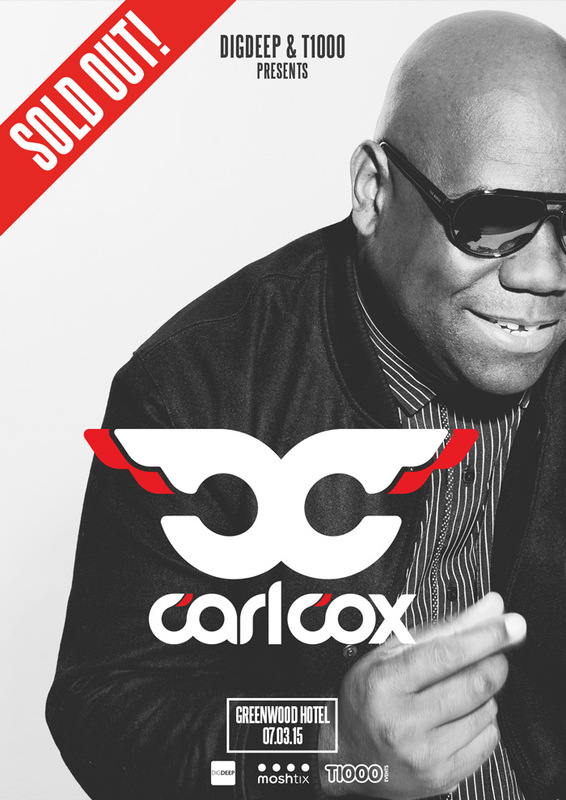 We are pleased to announce the Carl Cox at the Greenwood show is now SOLD OUT! Thanks again from T1000 and the DigDeep crew. With people flying in from all over Australia for this one, there is a lot of excitement in the air and we plan to deliver with next level production! Even the big man himself is looking forward to it.